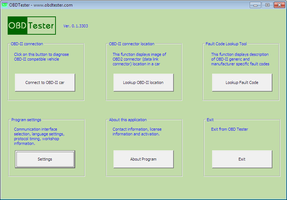 This free software can be used with ELM-USB OBD2 interface. Please note that ELM-USB also works with OBD Tester (basic version for free). GM Mode 22 Scan Tool by Terry (available for download in our downloads section).